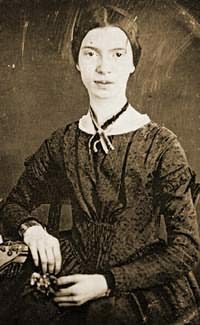 Emily Dickinson‘s poetry is characterized by its highly compressed, idiosyncratic use of language to convey intense emotions. But she also wrote a series of light “riddle” poems in which the subject is never directly stated, leaving the reader to determine what the poem is about. They aren’t difficult as riddles (except maybe for #1489), but they’re important because of their use of language. Here is the first, with the other three after the jump. I’ll leave off the solutions for now in case readers want to solve them.